Paying a Real Living Wage 97p higher than the government’s living wage, an inclusive employer featuring in Stonewall’s top 100 for LGBT+ people, and with more insourced jobs than any other Council in the UK and no compulsory redundancies, Leeds Labour Council is run to provide the highest standard of service ensured by treating its workers well. Community hubs attempt to protect vital local services in the face of government cuts. For the future Labour aims high, working to make Leeds a living wage city. And we’ll continue to press for the devolved settlement which would bring back more power from Whitehall to the people of Leeds. “With Labour running Leeds City Council, we ensure that our city has a strong economy but with compassion and socialism at the heart of everything we do. The largest council in the UK to declare a Climate Emergency, Leeds Labour has ruled out fracking, introduced a clean air zone with charges to encourage businesses to move to less polluting vehicles, is installing new charge points for electric vehicles – and has the largest fleet of council-owned electric vehicles in the UK. All this – alongside new Park and Ride taking 9000 cars a week off Leeds roads – means Leeds Labour council is doing what it can within the constraints of hugely reduced funding to tackle Climate Change at local level. With a target of 50% recycling next year – and new fines for dog fouling – Labour will continue to work to make Leeds green. “Scientists are clear – we are facing a climate emergency. The Tories transferred public health to councils, and then cut the council funding! Thanks to Tory and LibDem cuts since 2010, 62.5% of Leeds entire budget is now spent on adult and children’s social care. That’s a severe constraint, though we are committed to protecting the most vulnerable. But we’re also finding cash to set up a dementia care network, £500,000 next year for children’s mental health and money for 50 new public access defibrillators. “Supporting three quarters of a million citizens, Leeds’ health and care system has much to be proud of with world class examples and a history of public health innovation stemming back over a century and a half. Keeping open all Children’s Centres, reducing numbers of children in care, the only city in the UK whose Children’s services are rated ‘Outstanding’, English and Maths results improving at 4x national average, tackling period poverty, supporting children with Special Educational Needs and Disabilities as they move into post-16 education, creating over 11,000 new primary school places – the Labour Council has worked hard to make Leeds a good place for children to grow up in. “Our ambition is for Leeds to be the best city for all our children and young people to grow up in – a Child Friendly City. 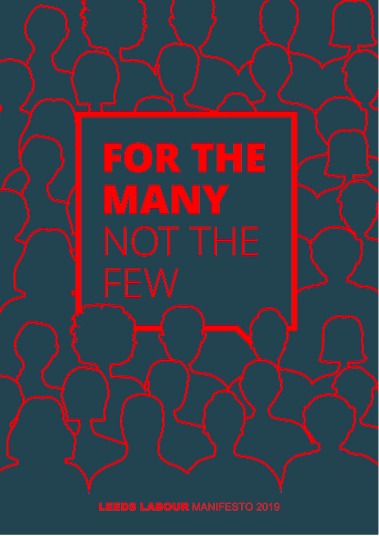 Labour’s strategy aims for a local economy which provides great jobs with workers’ rights, not in-work poverty and disempowerment, which harnesses and builds on our people’s creative talents to make a global cultural city. And which achieves growth while minimising congestion and air pollution, for example by attracting peopke back on to public transport. “Labour want a Leeds economy that works for the many, and not the few. Energy efficient homes in the biggest Council house building programme since the 1980s and long-term help for rough sleepers – Leeds Labour tackles our housing needs. “With Labour, over the next few years we are going to build more than a thousand new council homes in Leeds. Adel and Wharfedale people knocking on doors to seek residents' views. Members of Adel and Wharfedale Labour Party gathered last Saturday, 6th April with our local Labour MP, Alex Sobel, to hear local residents' concerns.